28.08.2015. Birds Nest Stadium, Beijing, China. 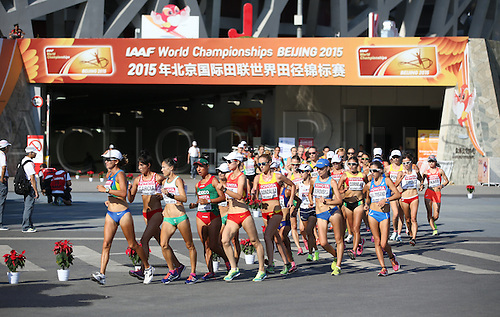 Competitors leave the stadium during the Women's 20 km Race Walk at the 15th International Association of Athletics Federations (IAAF) Athletics World Championships outside the National stadium, known as Bird's Nest, in Beijing, China, 28 August 2015.